The Board of Control for Cricket in India has discussed the $22 million tax waiver issue for future global meets at meeting with the International Cricket Council Chairman Shashank Manohar. The BCCI has submitted a payment plan to the ICC. BCCI’s Committee of Administrators along with Chief Executive Rahul Johri has met Manohar in Mumbai. The $ 22 million (Rs 150 crore) tax waiver which included the outstanding payment for the 2016 World T20 as well as the two future global meets – 2021 World T20 and 2023 ICC ODI tournament – was the second item on the agenda. It is learnt that the BCCI has apprised Manohar as to how they plan to make the tax waiver payments in case the government maintains its current position of no tax waiver for global sporting events. “There is an outstanding amount in this $22 million which pertains to the non-waiver for the 2016 World T20 in India. We have assured that moment new government is formed, we will request them for a waiver,” the official informed. “As far as the tax waiver for the future global events are concerned, what we have proposed is a full and final settlement after the 2023 50-over edition. However for that, we have decided to claim the hosting fees ($350,000) per match from the ICC before the start of the 2021 World T20,” he explained. This, according to BCCI brass, gives them an opportunity to strike a deal with its broadcasters as well as sponsors to carry the remaining tax burden. Earlier, the BCCI has agreed to work with the National Anti-Doping Agency for the next six months, a major climb down from its previous position of not adhering to the global anti-doping guidelines. The decision that was taken by the top BCCI office-bearers and Committee of Administrators after a meeting with the International Cricket Council chairman Shashank Manohar, came with its share of riders. “It will be a six-month tripartite agreement between ICC, BCCI and NADA wherein the samples of our registered pool of players will be going to the National Dope Testing Labaratory (NDTL) through NADA, unlike now when Sweden-based IDTM does the sample collection. If we are not convinced, we won’t renew the agreement,” a senior BCCI official privy to development told PTI after the meeting. The Board has not yet intimated NADA about its stand. “I will only comment when I receive any written confirmation. I have not yet been officially intimated,” NADA Director General Navin Agarwal said. 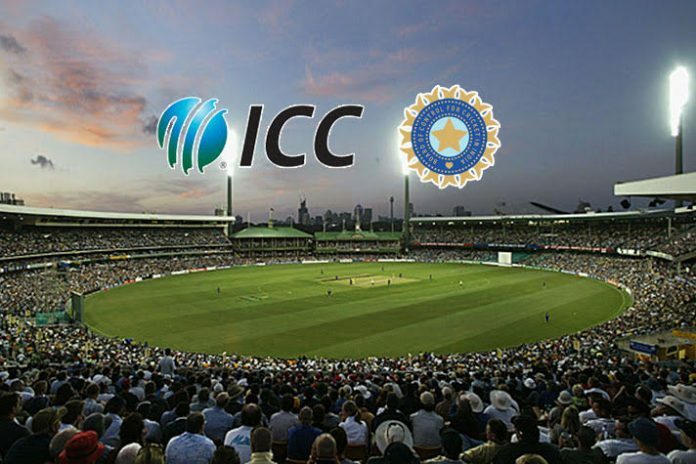 The World Anti-Doping Agency had clearly told the ICC that the BCCI has to come under NADA’s ambit so that the world body remains compliant and the matter was intimated to the BCCI during the board meeting in Dubai. Accordingly, the BCCI decided to come under NADA with a rider that its own chaperons will be collecting the urine samples and it will be handed over to the NADA. “We maintained that we have no faith in NADA’s Dope Control Officers (DCOs). There has been too many examples of inefficient handling of samples by NADA DCOs. Here we are talking about some of the biggest names in Indian sport like Virat Kohli and Mahendra Singh Dhoni. We can’t blindly trust them,” the official said. In order to remain WADA compliant, a national sports federation needs to at least provide 10 percent of the samples for testing. “We would be providing samples as per mandatory minimum requirement which is 10 percent. It would include top national cricketers and a lot of first-class cricketers,” he said.